This coming WrestleMania weekend, SHIMMER will return to iPPV with SHIMMER 71. For the first time since 2007, the show will take the form of a tournament, in partnership with ChickFight. The last time SHIMMER held a tournament – in the summer of 2007 – it was to crown the first ever SHIMMER Champion. Sara Del Rey came out on top, becoming the inaugural champion. 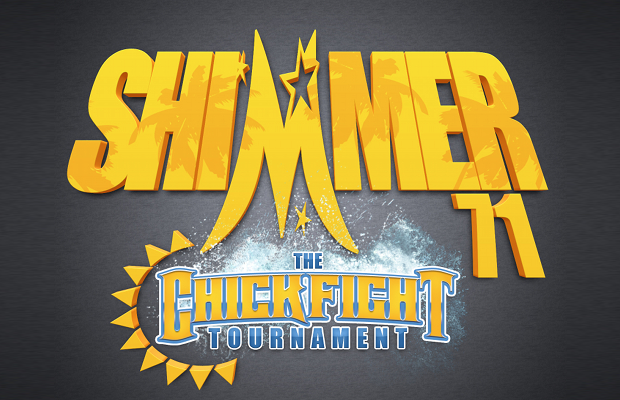 Fans can visit WWNLive.com/SJCA to purchase tickets to SHIMMER 71. Front row reserved seating is priced at $75, second row reserved seating is $50, and general admission seating is $25. Fans who wish to attend all of the WWNLive Experience events that weekend can receive a slight discount on tickets by purchasing one of several VIP packages. Since 2004, the ChickFight name has been associated with a series of tournament events, initially held in nearby Hayward, CA, and later in San Francisco, CA. Most recently, ChickFight partnered with ECWA to present the first ever all-female Super 8 tournament, won by third generation wrestler Tessa Blanchard. Talent for the tournament will be announced over the next few weeks.